(HO/MPA) (Honolulu) 1981 - 1985. Photos. Framable Color Prints and Posters. Digital Sharp Images. Aviation Gifts. Slide Shows. 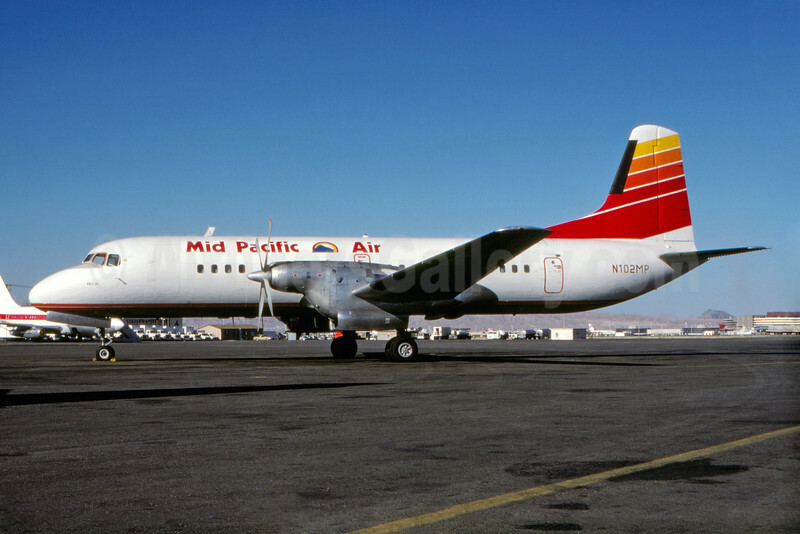 Mid Pacific Air NAMC YS-11-101 N102MP (msn 2004) (Far West Airlines colors) LAS (Robert E. Garrard). Image: 931200.